On Wednesday night against the Marlins, Bryce Harper blasted 2 homers (see how far one of them went here). However, Bryce was also ejected from the game in the 9th inning after grounding into a double play and slamming his helmet. "A little Negative, Bryce couldn't control his emotions again and I had a little chat with him. He'll get over it, he's just a hundred percenter. He expects great things out of himself. 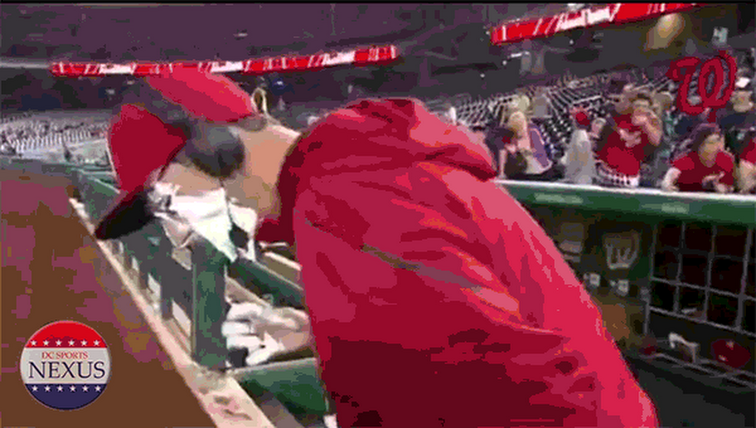 He breaks bats, throws his helmet, and he's just got to stop it. We can't afford to be losing him in a ballgame with that. 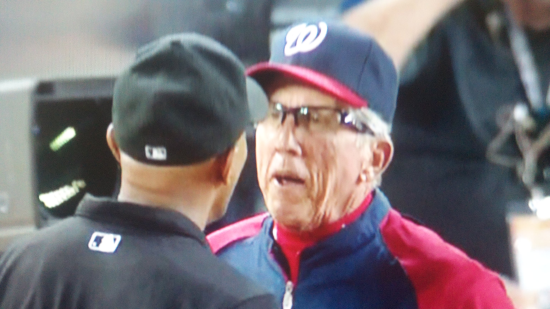 He'll learn, he's young, he'll learn"
He was then asked about the umpire, but Davey turned the blame back to Harper. "At that point it didn't matter to me. It was done. He's wrong in doing that, he's wrong in breaking his bats, he's wrong in throwing his helmet down in frustration. It's just like I say he's a hundred percenter, he's full bore, and when he doesn't like the outcome he shows it off that way, and it's just a learning experience, he'll be fine. I'm not worried about him"
And some more on Bryce. "I told him, 'I just can't afford to lose you by you expressing your emotions that way, you just can't do it. Go inside the runway and break a bat over your head or somethin.' He also hit his head before the game in the locker room, he showed me the top of his head. So he's a little emotional." How did Bryce hit his head Davey? "I don't even want to know"